Posted on April 16, 2014 by revivewa	in News and tagged Aged care, Juniper. Juniper’s new facility in Bentley, Ron Wilson House. 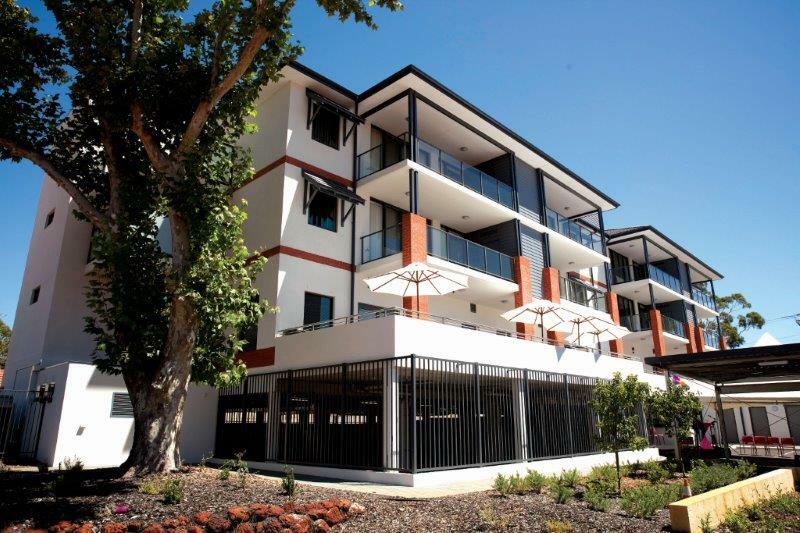 Juniper, an agency of the Uniting Church in WA and one of WA’s largest providers of retirement, residential and home aged care services has recently opened Perth’s newest integrated retirement living, community care and professional training facility. Juniper was looking to the future of retirement living and created an adaptable apartment design for all 16 units at Ron Wilson House to enable residents to remain in their home as they age and their requirements change. Juniper will also deliver state-of-the-art education and training facilities in partnership with Curtin University through the Juniper Simulation Centre located at Ron Wilson House. The facility’s name pays tribute to Sir Ronald Darling Wilson, a former high court judge, human rights campaigner and a Uniting Church leader. “In 1977, Ron became the first moderator of the WA Synod of the Uniting Church, a role he fulfilled for two years and during this time he was knighted for his community service,” Vaughan Harding, chief executive at Juniper said.